A mechanic who was jailed for drink driving seven years ago, and was banned again earlier this year, was caught over the limit for a third time in Mansfield, a court heard. 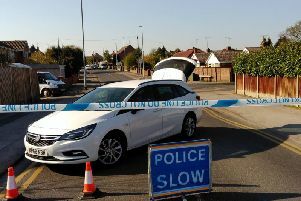 Arkadiuz Winski’s Volvo was spotted driving slowly on Peck’s Hill, at 8.40pm, on November 20, and a test revealed he had 45 microgrammes of alcohol in 100 millilitres of breath, when the legal limit is 35 microgrammes. Prosecutor Neil Hollett said Winksi told police he planned to sell the car and was driving it to show to the buyer. The court heard he was banned, and jailed, for drink driving, in 2011, and had been banned again for drink driving, for four years, in June, 2018. Chris Perry, mitigating, said: “While drinking is clearly a routine feature of Mr Winksi’s behaviour, he would say to the court that driving while banned is not. “He justified it to himself that he would only be driving a very short distance and it would alleviate financial pressures to sell the car. “He was expecting his wife, who is legal, to demonstrate the car. “He didn’t want to lose the sale. He took a risk. That risk is now the potential for going to prison. He said the self-employed mechanic’s business would end if he was sent to prison. “A prison sentence would be wholly justified but it would not bring about the lasting changes to his behaviour that are necessary,” Mr Perry said. Winksi, 42, of Recreation Street, admitted drink driving, driving without insurance and while disqualified, via a Polish interpreter, when he appeared at Mansfield Magistrates Court, on Friday. The case was adjourned until January 17 for a pre-sentence report.